Ever since the end of December 2016, when Bitcoin crossed the $1000 mark, cryptocurrency investment has gone crazy. At the end of 2016, the cumulative cryptocurrency market stood at $17 billion. Now at the time of writing, it’s at a whopping $110 billion. This a tremendous growth of +500% in just six months. Is it a bubble waiting to burst? Or is this “Internet of Money” thing real? Just like how the internet made content and information decentralized, the same is happening with money. Bitcoin’s blockchain technology is making money decentralized. However, as Bitcoin is just the first application of digital currency, it is obviously going to have some fundamental flaws. One such flaw which Bitcoin doesn’t solve is that of private and anonymous transactions. This drawback of Bitcoin has given birth to a new breed of cryptocurrencies called Anonymous Cryptocurrencies. 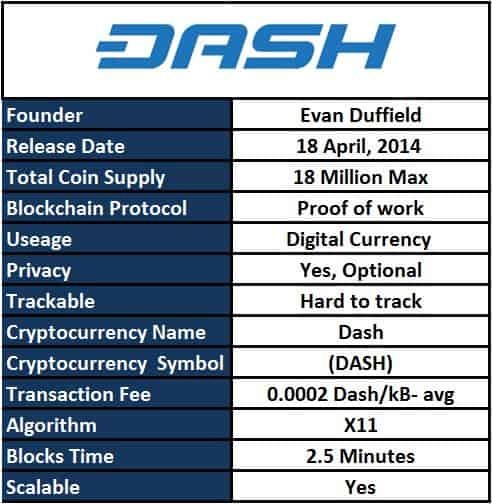 And Dash is one of the contenders in this new breed. Dash – Digital Cash is one of the most promising alternative coins to Bitcoin. This article is your one-stop shop for all you need to know about Dash. Dash was originally released as XCoin (XCO). In February 2014, the name was changed to “Darkcoin”. 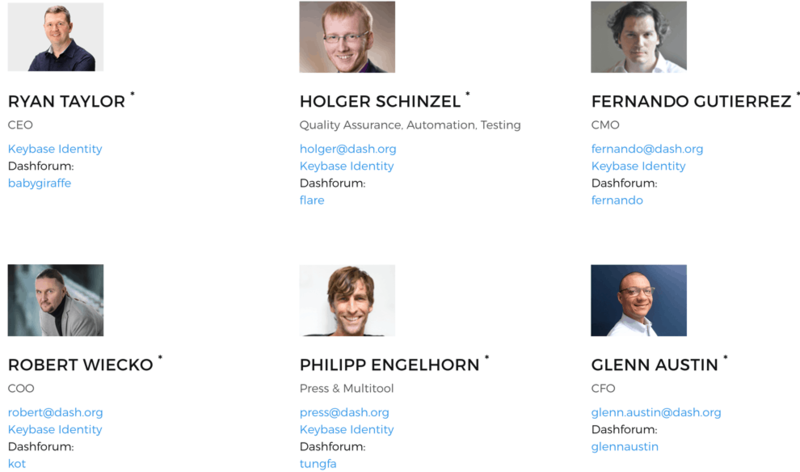 And on 25 March 2015, Darkcoin was rebranded as “Dash”. Evan Duffield came across Bitcoin in 2010 and was impressed by its technology. But he soon realized that Bitcoin was not private and fast enough. He had many ideas on how to make Bitcoin anonymous, but he knew that Bitcoin’s core developers wouldn’t allow him to do so, as the core’s code would need to be changed for this. So to change this primary drawback of Bitcoin, Evan decided to use Bitcoin’s core code and build his own cryptocurrency- this is what we know of today as Dash. At present, the circulating supply of Dash is 7.4 million, and it will reach 18 million in the year 2300 (when none of us will be alive). Dash has a variable block reward which decreases at a 7.1 % rate each year. The average block mining time is 2.5 minutes on the Dash blockchain, which makes it four times faster than Bitcoin. 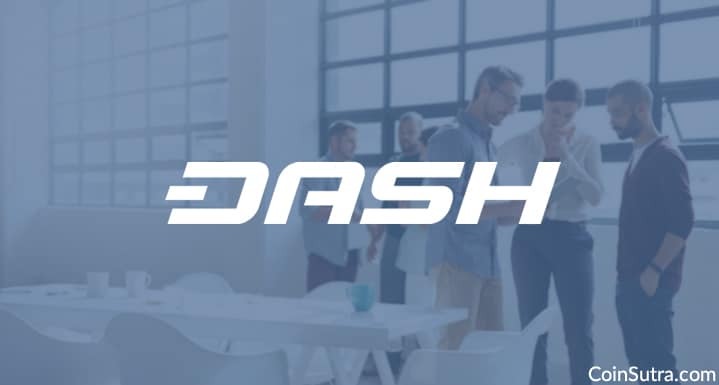 At the point of writing this article, the total available circulating supply of Dash (DASH) is approximately 7.4 million, and the price of each unit of DASH is worth $204. Hence, the market capitalization of Dash is $1.5 billion. As of June 2017, Dash is the seventh (6th) most valuable cryptocurrency by market capitalization. One of the easiest ways to get ahold of your first Dash (DASH) is to get it exchanged from Changelly. Changelly is an instant exchange where you can exchange various cryptocurrencies. Changelly currently supports 55 cryptocurrencies (including Dash). Your Dash address where you would like to receive your Dash. Some BTC/LTC or any other supported crypto to exchange for Dash. Note: Though this guide shows you how to buy Ripple in exchange for BTC, the process is exactly the same for buying Dash. Now that you have bought Dash, let’s put those coins in a wallet. Word of advice: Don’t store your coins on exchanges for a long time. A couple of days is fine, but in general, this is a very bad and risky practice. Jaxx is a multi-cryptocurrency HD wallet with recovery seed key feature. You can also make a paper wallet. Paper wallets contain both the private key and as well as the public key of Dash. It is the cheapest form of cold storage. Refer to this guide on how to make a Dash paper wallet. Private Send – Dash allows you to send your funds privately by mixing it in between several other transactions, thus making it hard to identify any specific transaction. It uses a coin mixing service based on CoinJoin. This is an optional privacy feature which the user may want to use. But there is a limited cap of 1000 Dash for which you can send using this feature. Instant Send – This service allows you to send your Dash transactions instantly (within 1.5 seconds). But Masternodes (see below) charges higher fees for processing such transactions. InstantSend also solves the double-spending problem. Note: InstantX was rebranded to InstantSend in 2016. Masternodes – Unlike Bitcoin, where each note is equal, Dash has special privilege nodes called Masternodes. Anyone can form Masternodes by holding 1000 Dash as collateral. These special nodes perform PrivateSend and InstantSend functions, and earn a 45% block reward. Excellent quote by #Dash Core Group CEO Ryan Taylor @RTaylor05 via @bloktcrypto. #Venezuela 🇻🇪 has over 1000+ @Dashpay merchants & a surge in new users escaping hyperinflation embracing #cryptocurrency as a solution free from state manipulation. The Dash price in February 2014 was $ 0.02 and after that, it has grown at +10,00,000% rate. And since last December of 2016, it has increased more than +1500% from its per unit price of $11. And in 2017 it skyrocketed to $1200 to $750 in a matter of few days which is a 60% increase. Dash isn’t going anywhere soon. Though it has competitors, like Monero and PIVX, Dash is more flexible and ready to use, and it has a really solid infrastructure. All this sets Dash apart from the crowd and makes it a promising currency worthy of investment. In the coming future, the cryptocurrency environment is going to evolve, so stay tuned to CoinSutra and keep learning about the cryptocurrency revolution! Let me know in the comments which cryptocurrency you want me to cover in my next articles. And if you liked this post don’t forget to share it with your friends on Facebook or Twitter! 2 When And Why Was Dash Created? 3 How To Buy Dash? Soon bitbay.in will also ensure buy – sell of dash in india. how can I obtain my Dash wallet address after sign up.like the way I got Bitcoin wallet address. You will easily locate it once you have signed-up the relevant wallet. dash is called by silent crypto currency…. it is growing randomly. I got a news form http://t.me/blockchaininvestio that it will be more profitable by engagement with dash. Now after some time has passed…are there any glitches or downfalls with DASH? What would the worst that could happen? Is it possible for the government to step in and control DASH or other C currencies? What cheaper most cutting edge most promising and advanced C currency do you recommend now? Thank you for sharing this article. So as of today, what is the best cryptocurrency you can recommend? Do you still recommend dash? I’m even more confused now, i tried to exchange btc for DASH but the option wasn’t there on the drop down menu, i just get it. How can I buy cryptocurrency such as Dash without resorting to using normal banks systems . Card transactions , Paypal via banks and in fact , any transaction which passes through a bank can be traced and monitored . I do know that no too far from me , they have installed a Bitcoin atm where you go , put in cash and are allocated Bitcoin which you load into a Bitcoin wallet at the atm . So no one actually knows who you are ( I suspect) . Does Dash have such a facility ?.with the reve ud offices baying for every cent we earn , cryptocurrency is the way to go but in such a manner that they cannot get their grubby paws on one’s hard earned cash . Thanks for Sharing. Can i know how to create own DASH wallet? which platform and library i can use?